Whether your home has sliding glass doors or doors with large windows built-in, you undoubtedly know how the openness of such doors can be a double-edged sword. They’re perfect for letting in natural light and filling your home with a warm glow during the day, but they can also significantly reduce your privacy. The good news is that the vast majority of the window coverings we sell at Blindster can be ordered to fit doors, regardless of their shape or size. Doors outfitted with window coverings can often be even more stunning than many windows due to their larger size and the huge amounts of filtered natural light they bring into your home. When most people think of window coverings for doors, they probably imagine blinds that look much like our Embossed PVC Vertical Blinds. These blinds are easy to operate and open/close due to a self-aligning wheeled carrier and self-lubricating acetal parts. Choose from more than 20 colors to perfectly fit your home’s décor and style, including Manhattan White, Charleston Sand, and Stanford Bluehaze, and pick between a chain or wand control. Don’t worry about your doors being too big, either—this blind can be custom cut to fit doors up to 129” wide and 129” long. Our sheer shades are among our best sellers due to their versatility, and the 2” Premium Room Darkening Sheer Shades are no different. Windowed doors are unique in that homeowners frequently want the ultimate in privacy—especially when their doors face sidewalks or streets—while also having the luxury of maximizing the natural light they produce. These shades fit the bill by being manufactured using two layers of soft fabric sheers and block 97 percent of light and 99 percent of UV rays, while also being perfect for filtering sunlight during the day and filling your home with soft, diffuse light. Doors that lead in and out of outdoor areas, or just doors in homes that feature a natural décor theme, are the perfect places for bamboo shades. 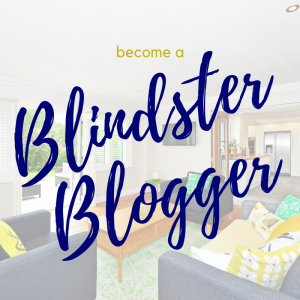 Blindster’s Premium Bamboo Woven Wood Shades Group D are the ultimate in luxury and quality when it comes to natural shades and they can be cut to fit most doors, with a maximum width of 93” and a maximum height of 108”. The hand-woven bamboo, grass, and jute fabrics can be selected in 20 unique colors and patterns, including Rangoon Umber, Bangkok Herb, and Jakarta Dawn. If you’re a fan of natural materials but prefer a more traditional and classic look for your doors, you can’t go wrong with our 2” Privacy Wood Blinds. Manufactured with the highest quality basswood, these window treatments will help insulate your home from the harsh outdoor elements and won’t fade or warp even after years of exposure to intense sunlight. These shades are also perfect for homeowners who want the ultimate in privacy, as a routeless option is included free of charge. 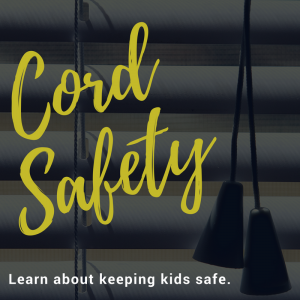 That means your blinds won’t have any holes or openings when closed, giving your family peace of mind at all hours of the day and night. Looking for blinds that are all about function while designed to be as unobtrusive as possible from a design standpoint? Then look no further than our 2” Aluminum Blinds. These mini-blinds are exceptionally common in homes throughout the country due to their ability to block out natural light and protect privacy, match and blend with almost any décor, and a hardy manufacturing process and robust materials that makes them resistant to fading and warping. 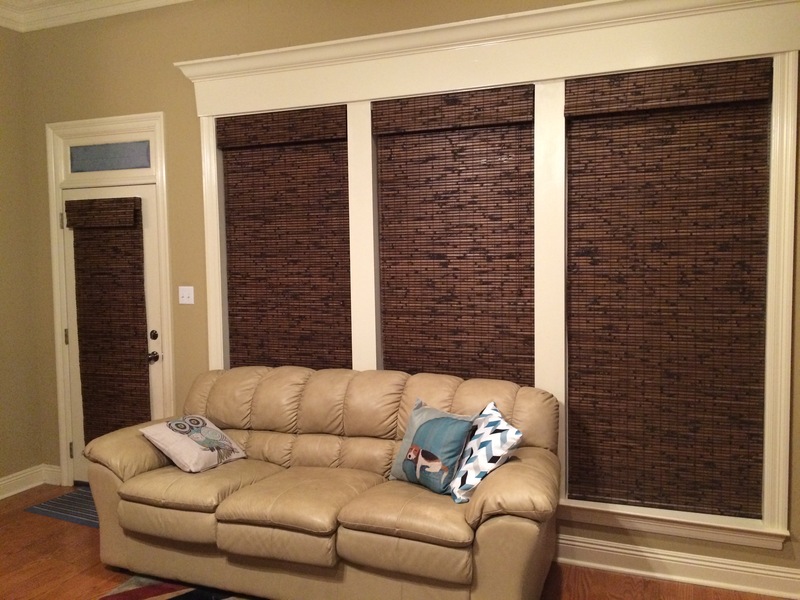 Large doors are no problem for these blinds, as they can be custom cut to fit spaces up to 122” wide and 108” high. You can also personalize your blinds with unique colors, including Brushed Aluminum, Char Brown, and Black Satin. If you accept nothing less than the best from a style and décor standpoint when purchasing window treatments, our Premium Roman Shades Group B may be right up your alley. Roman shades are known for their decorative and luxurious appearance, and they are the perfect fit for homes with a classic look and elegant furnishings. The folds and beautifully textured appearance of Roman shades make them the perfect fit for the length of most doors, and they look just as beautiful open as they do fully closed. In addition to their stunning looks, these shades are also highly effective at blocking out sunlight and protecting your privacy due to their thick fabrics. If privacy isn’t a major issue in your home and you are focused more on preserving as much natural light in your home as possible while also cutting down on the sun’s harmful UV rays, you’ll love our Premium Solar Shades 5% Open. These window treatments can be cut to fit exceptionally large doors up to 144” wide and 192” high and preserve nearly all visibility while eliminating 95 percent of UV rays from entering your home and fading your furniture and décor. Greenguard® certified and manufactured using high-quality Phifer Sheerweave® fabrics, these shades are built to last and will hold up in your home for years to come. 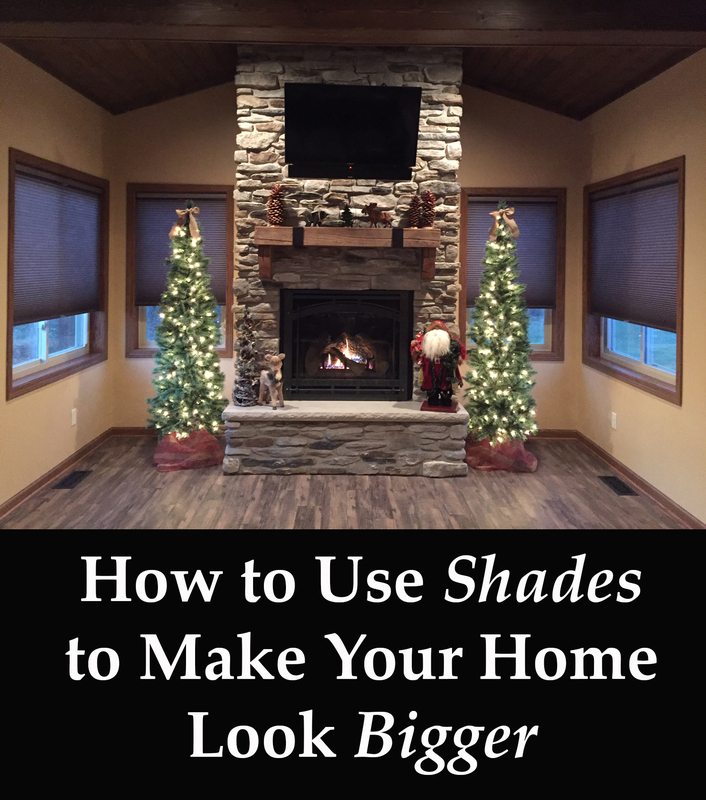 Not satisfied with standard colors and textures in your home’s shades? Outfit your doors with our Premium Light Filtering Fabric Roller Shades – Group A and enjoy a huge variety of stunning colors and patterns, including Lumen White, Lumen Onyx, Swirls Mocha, and Lima Autumn. With maximum measurements of 108” wide and 120” high, these light-filtering shades will fit the majority of doors and can be outfitted with a standard cordless spring roller lift system or an optional continuous loop lift cord for easy operation.